Caption slip reads: "Photographer: Hecht. Date: 02-10. Reporter: Parker. Assignment: Boy fools bandit. 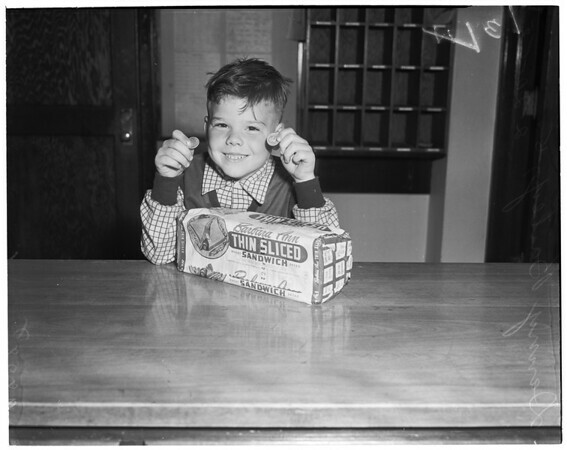 130-131-75: Danny Bailey, 5, who hid 2 quarters from bandit under a loaf of bread."